A few months ago, I decided to try out the Liz Earle ‘Cleanse and Polish’, at first I was hesitant about trying a new skincare product as I have sensitive skin, but after hearing endless good reviews from Youtuber Gabriella Lindley (VelvetGhost) and seeing how well it worked to clear her skin, I went to my nearest John Lewis and bought a sample size Cleanse and Polish to give it a try. The Cleanse and Polish is an amazing cleanser, after using this a few times to take away my makeup at the end of the day, I noticed how little makeup is taken off with a makeup wipe. It is well known for its ability to get even the toughest of mascara off, and this couldn’t be more true! I don’t jump into bed without cleansing my skin. It completely takes off any mascara and any makeup and leaves your skin so so clean. The Cleanse and Polish comes with 2 muslin cloths, firstly you soak the muslin cloth in lukewarm water. Then take two pumps of the Cleanser into the palm of your hand and evenly distribute it onto your face. At first, I was a bit hesitant of the idea to rub a cleanser on my face with makeup on, however when you work the cleanser into your face, you can see the makeup coming off. Squeeze the excess water off the muslin cloth so it is left damp, and with a clean section for each part of your face, wipe away the cleanser, soaking the muslin cloth back into the water when needed. This is an amazing cleanser and you can see instant results in your skin after using it. I use it to cleanse with in morning and evening, the muslin cloth’s texture means that it gives a small exfoliation as you wipe away the cleanser but your skin is never let feeling rough. I lean towards this product whenever I have a breakout (which is every couple of weeks, grr spots) but this helps to clear my skin up in a way that spot creams and other cleansers don’t. After trying and loving this product, I went and bought a full size cleanse and polish and its partnering Gentle Exfoliator. I use Gentle Exfoliator twice/three times a week. The leaves my skin feeling soft and plump, I use this the same way as I use the Cleanse and Polish, with the muslin cloth provided, I use two pumps of the exfoliator and work it into my skin evenly, and wipe away with my damp muslin cloth. I usually use this when I have heavy makeup on my eyes, like for a wedding. I pour a little onto a cotton pad and gently wipe away my eye makeup and after about two wipes of this, majority of my eyeshadow/eyeliner comes off with ease. This is a Eye and Lip cream which I use morning and night to help combat my dark under eye circles (grr), it does everything it promises on the tin: leaving the ‘delicate eye and lip contours looking and feeling plump, smooth, firm and rejuvenated’. It leaves my under eye circles looking less puffy and generally smoother and I’ve definitely noticed a difference! I’ve moved from using E45 to the ‘Skin Repair’ Moisturiser for Dry/Sensitive skin, this is perfect and helps to leave my skin hydrated throughout the day. The only problem is that it only comes in a 50ml size, in either a jar or a tube, I currently use the tube version, and its to easy to take on the go with you to top up during the day if you feel like your skin is getting dry. This is amazing and has replaced my other creams I was using. Me and Sarah – (speaking of Sarah, have YOU seen her recent blog post?! Photo credit to moi) – stopped into The Body Shop last week and picked up headbands to use when we are cleansing or exfoliating for only £4, it does the job perfectly and helps when doing my skincare routine to keep my hair from my face. It didn’t take long before my bathroom cupboard was FULL of Liz Earle products, I have even managed to convince my Mum to try the SuperSkin face cream and she is loving it! I haven’t had any reactions to using any of the products, and they have all been perfect for me, leaving an amazing finish on my skin. 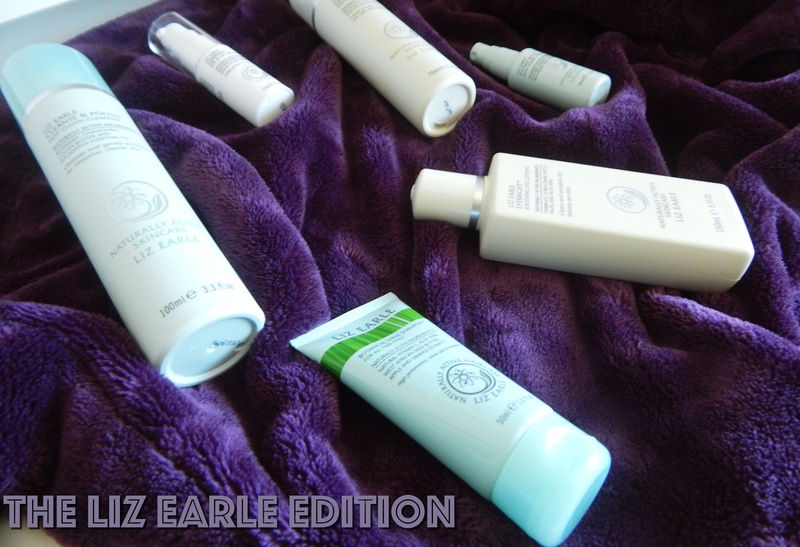 Now I have tried Liz Earle, I wont be going back to any skincare product. 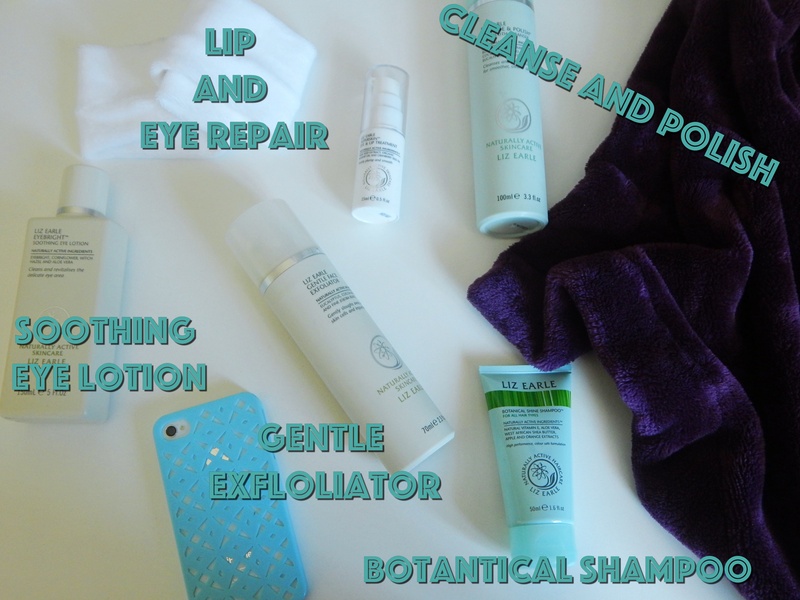 Liz Earle is a must-try brand! See you next week with another post from me!